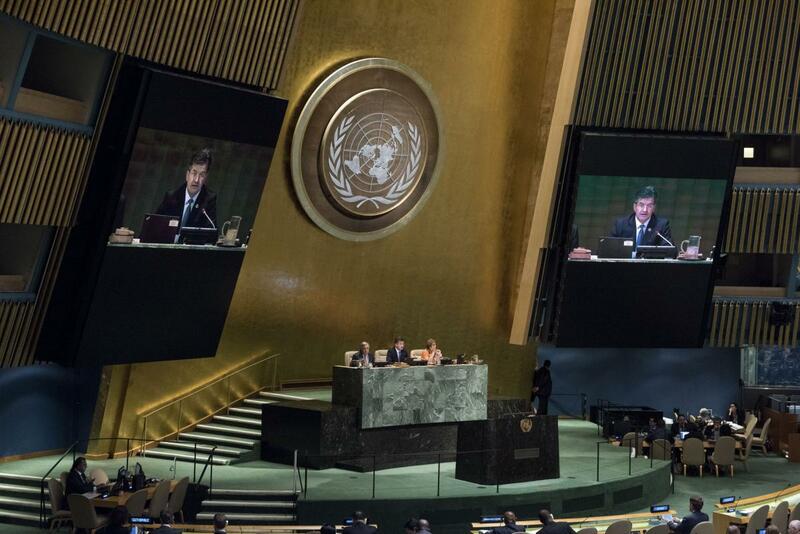 On September 12, the 72nd session of the United Nations General Assembly (GA) opened at the United Nations Headquarters in New York with Miroslav Lajčák as president of the session. Lajčák, who assumed his presidency on September 12, previously served as a three-term Minister of Foreign and European Affairs of Slovakia and held a number of senior roles in conflict prevention, resolution and mediation with the UN and the EU. The annual UN General Debate, during which Heads of State and Government and other high-level national representatives meet to present their views on major global issues, opened on Tuesday, 19 September, and concluded on Monday 25 September. which GA President Lajčák chose with the intention to forge a UN fit for the 21st century and to bring the UN closer to the world's citizen in order to make a real difference in their lives. The Social Development Goals (SDG), the 2030 Agenda and human rights, exemplifying a recent increased focus on the relationship between the implementation of the SDGs, the prevention of human rights violations and strengthening the UN’s response to emerging crises. In addition States drew particular attention to concerns regarding the rights of migrants and refugees, IDPs, gender equality and violence against women as well as climate change, terrorism, extreme poverty, and preventing violent extremism/radicalisation. Other recurring themes in the statements included a noticeable country-specific focus as States repeatedly made references to: Myanmar, Syria, Libya, Venezuela, Israel and the Occupied Palestinian Territories, as well as the DPRK. In continuation of the event, the 72nd session of the General Assembly is likely to be focused on the themes of – preparations for the 2018 Inter-governmental Conference on International Migration and the proposed reforms of the Secretary-General, as well as the commitment to fulfill the mandate to continue its work on Security Council Reform. First Committee (Disarmament and International Security) elected Mouayed Saleh (Iraq) as Chair. Second Committee (Economic and Financial) elected Sven Jürgenson (Estonia) as Chair. Third Committee (Social, Humanitarian and Cultural) elected Einar Gunnarsson (Iceland) as Chair. Fourth Committee (Special Political and Decolonization) elected Rafael Darió Ramírez Carreño (Venezuela) as Chair, while emphasizing that no aspect of his country’s current political situation would prevent him from fulfilling his duty in that position. Fifth Committee (Administrative and Budgetary) elected Tommo Monthé (Cameroon) as Chair. Sixth Committee (Legal) elected Burhan Gafoor (Singapore) as Chair.